How Far is United Samyak Raj? Mumbai pune highway (Nh4) and the mumbai-Pune expressway and is accessible from both these roads. It is also strategically located in close proximity to the announced navi mumbai international airport at navi mumbai. R.C.C. as per the structural approved plan. Brick work & elevation as per architect plan. Internal plaster wih Neru finish and External Plaster double coat in sand faced. O.H. water Tank with waterproofing (as per plan). Compound wall, gate column & paving side of the building face to compound wall 5’ height from finish level. Flooring – vitrified tiles of size 24’x 24’ in all flats 12’x 12’ antiskit in W.C. & bath. Granite kitchen platform with S.S. sink & glazed Tiles upto fuli beam level. Dado glazed tiles in W.S. & Bathroom with C.P. concealed fitting with Seiko fitting with hot & cold mixture. Concealed copper wiring including Anker switches, provision telephone & T.V. point in living room & bedroom and exhaust fan. Decorative main door- hot pressed flush Door with wooden frame & brass fitting and night latch. Internal wooden doors of Red Mirandi with Oil Paint. Hardner doors in W.C & bath with Marble frame with fitting. Aluminum sliding window with Black glass powder coated with Green Marble freme. Painting External semi Acrylic paint and internal neru finish with distemper. Chequred Tiles in still & open space with soling PCC. Real estate sector plays a very important role in the expansion, growth of any the city & country. The real estate sector of Panvel & Navi Mumbai is one of the fastest flourishing industries, since 2012 United Builders has been satisfying the diverse needs of home seekers in Panvel & Navi Mumbai. The company began its operations on a humble note the intention was not just to become a successful business house but also to emerge as a customer-centric organization which delivers good homes. United Builders philosophy has always been to build homes rather than houses. That means paying attention to the details of importance to you. Creating homes to suit your needs and lifestyle is our ambition. Community and environmental considerations are within our operations. By creating innovative and sustainable construction solutions we have a low impact on the environment and create a positive benefit to local environments. United Builders, built Apartments across many cities like Chennai, Mumbai, Pune, Navi Mumbai, they do concentrate more on the nuclear families. One of the Villa project is United athena Villa located in Undri, Pune. this is an Ready to occupy and it offers 3 BHK Villa. Builders concentrate more about quality of the project and to build high end houses. United Builders, built many projects in Mumbai one of them is United Unity Heights located in Malad West, Mumbai. This project is under construction and offers 2 BHK Apartments at the best price. 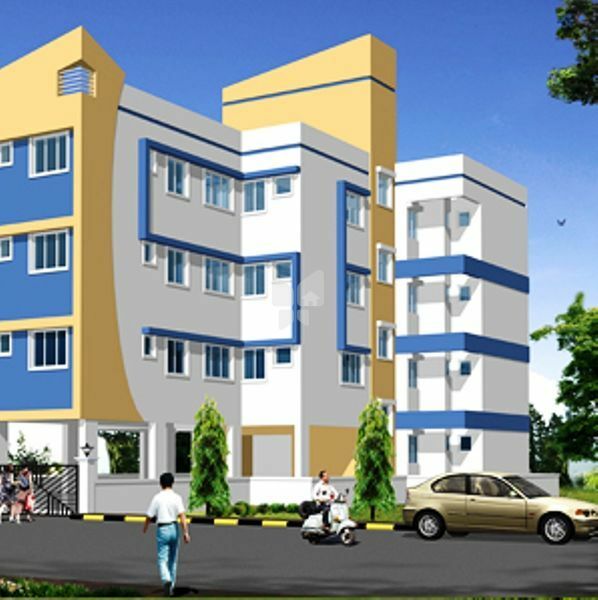 One of the prelaunch project of United Builders is United Sadupa Apartments located in Perambur, Chennai. Our vision has widened and refined in the light of modern developments of our country, together with the organizational growth. Our vision now focusses just not only building better residential & commercial projects, but also to provide better facilities, to offer a life of better quality. Everything that is created by united builders group reflects international quality. Our objective is to build trust and stability and we bring consistent level of quality and integrity to every project we build. The quality of our projects is translated into durability, security, safety, comfort, style and luxury.